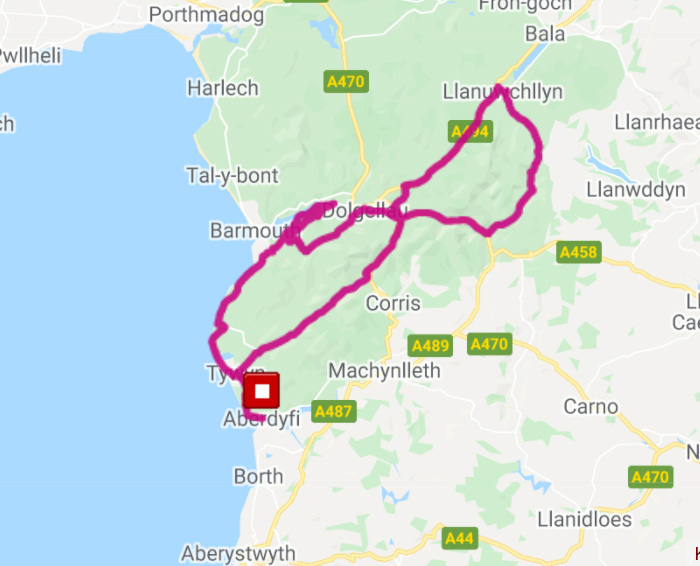 This route follows the standard route along the magnificent coast road to Fairbourne from Aberdovey. It is a lot less testing than the other routes with only a small amount of elevation, but is a good challenge for recreational riders and families and features the same spectacular scenery. 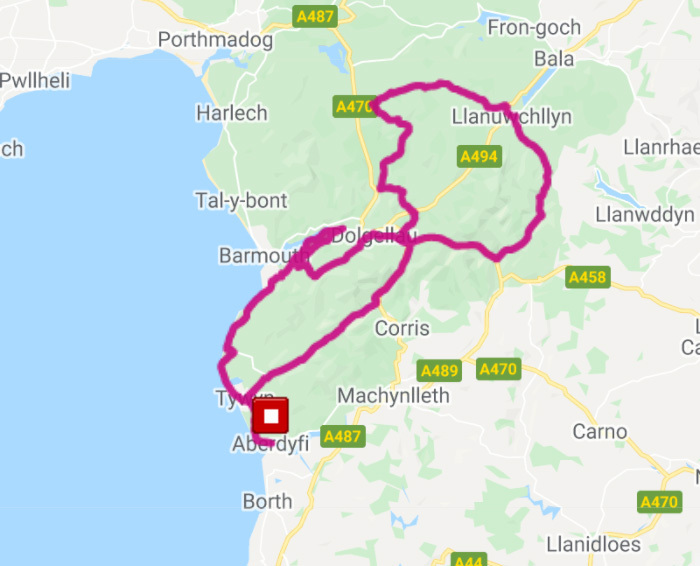 The route kicks off with a flat run out of the picturesque village of Aberdyfi. As you hit the coast road next to the golf course the road rolls a little towards the neighbouring village of Tywyn. Passing down next to the railway line, the route takes you over the first river crossing over the brand new Bailey Bridge at the mouth of the Dysynni. Out onto the back roads through Rhoslefain and onto the magnificent stone-walled coastal road towards Fairbourne. Rolling at best, there are no real climbs and as the road builds above Fairbourne you can see the village of Barmouth across the Mawddach estuary and the railway bridge that will take you across. The turn off to the bridge is a sharp left-hander off the main road and you will reach the turnaround point just short of the railway bridge. There is a feed station and toilet stop here if you need, so it may be an idea to fill your bottle, catch up with your friends and then head for home back the way you came, taking in the magnificent coast road once again. 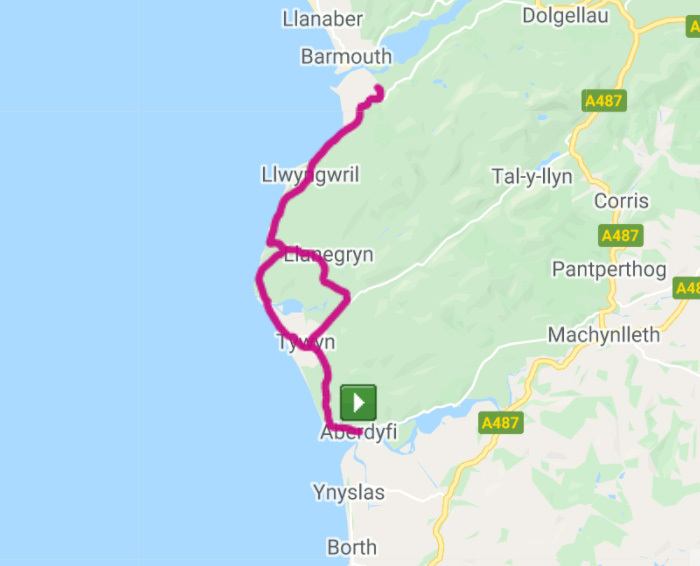 If you want to extend your route a bit, you can go across the Barmouth railway bridge where there is a good ice cream shop and even a pub!